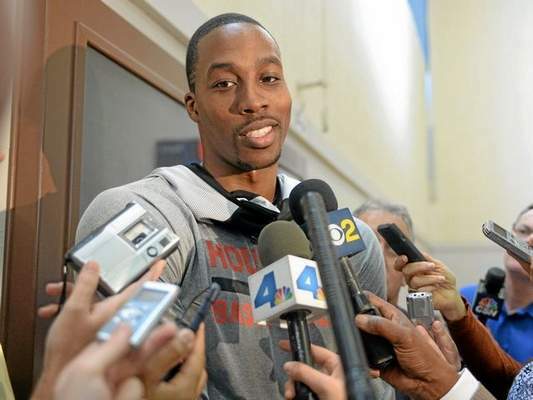 Amid all the boos and personal insults hurled his way, Dwight Howard kept smiling. He had spent his lone season with the Lakers in endless frustration for reasons involving his health (back, right shoulder) and role (personality conflicts with Kobe Bryant, philosophical differences with coach Mike D’Antoni). But as Howard weathered the negative backlash all season stemmed from his hasty departure from the Orlando Magic, Howard reveled in the jeers and even engaged with the fans who spewed venom at him. That happened both when the Lakers visited Orlando and on several road games where his reputation stayed poor. But with the Lakers (18-35) hosting the Houston Rockets (36-17) tonight at Staples Center, Howard said he won’t adopt the same approach toward the Laker fans eager to yell an earful about leaving the purple and gold. 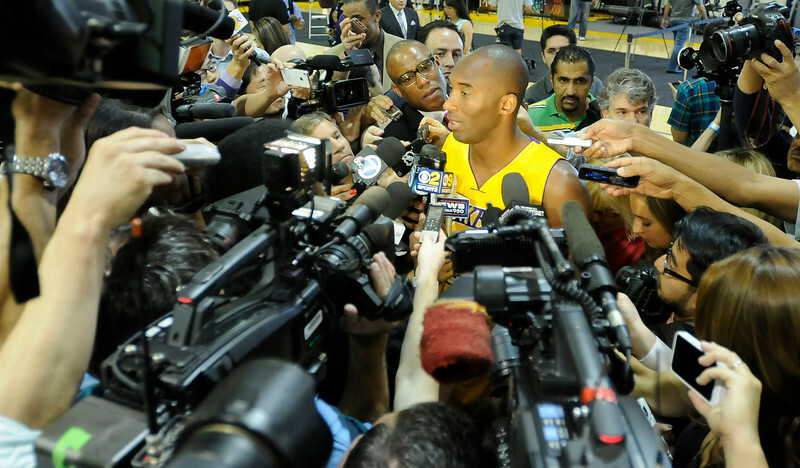 Anxiousness awaits for the Lakers’ training camp, and for what? Very few tab them as NBA championship favorites. 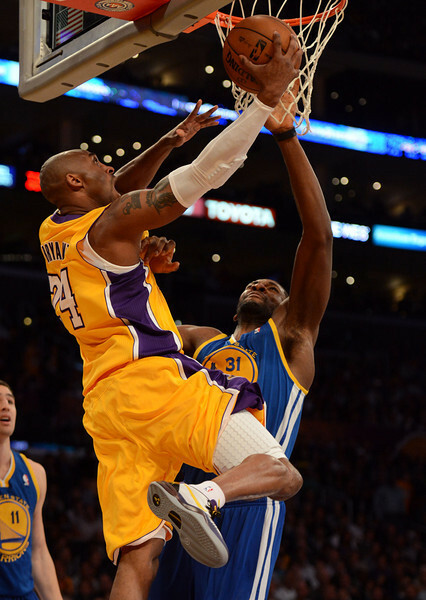 Uncertainty lingers on how Kobe Bryant will look after he heals his left Achilles tendon. Skepticism persists over whether Mike D’Antoni can lead these Lakers through troubled times. That’s perhaps why NBA2K14, a video game that prides itself on comprehensive player analysis and credible game simulations, tabs the Lakers this season failing to reach the playoffs and finishing with a 35-47 record. Granted, NBA2K13 rated last year’s Lakers as the NBA championship favorites, and we all know how that turned out. 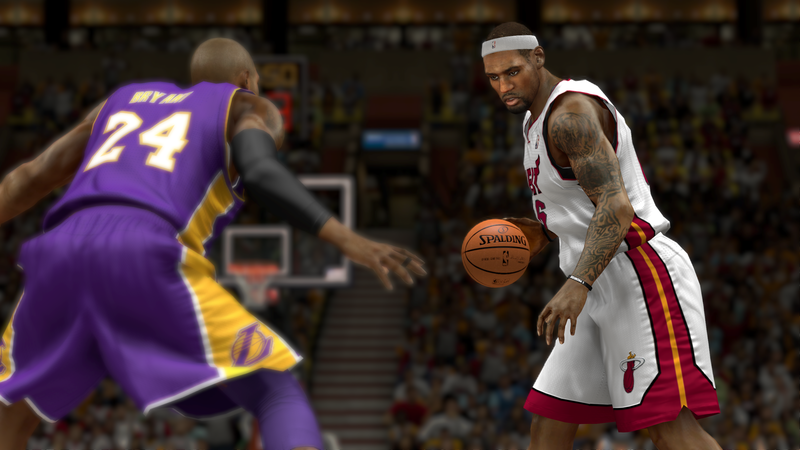 The NBA2K franchise also may do its own simulations before the Oct. 1 release. I received an advance copy and performed my own simulation. But there’s plenty of reasons to feel skeptical about the Lakers. Dwight Howard bolted for the Houston Rockets. The Lakers lost their best defensive player in Metta World Peace for the sake of saving luxury taxes through the amnesty provision. The Lakers’ offseason additions in Nick Young, Wesley Johnson, Chris Kaman and Jordan Farmar bring some added speed and additional scoring. But on paper, it appears the Lakers don’t have enough defensively. “This team just doesn’t have enough athleticism and speed to contend for a title,” said Clark Kellog, who offers analysis with Steve Kerr while Kevin Harlan serves as the play-by-play announcer for the NBA2K14 game. Rarely have the Lakers ever suggested to wait until next year. After all, the franchise has collected 16 NBA championships, and usually expects to win another one both to surpass the Boston Celtic’s 17 and because the Lakers are used to hoisting up the Larry O’Brien trophy. But the Lakers have plenty of uncertainty this offseason. Kobe Bryant has continuously rehabbed on his left Achilles tendon, while Steve Nash and Pau Gasol are recovering from their respective hamstring and knee injuries. Dwight Howard left for Houston on his own, while Metta World Peace went to New York so the Lakers could save money. Skepticism remains on whether a full training camp and a crop of younger players more suited for his system will be enough in coach Mike D’Antoni leading the Lakers toward success. So with few hardly predicting they will win the 2013 NBA championship, the Lakers are looking toward the 2014 offseason when they have a high amount of cap flexibility. Steve Nash and Robert Sacre remain the lone two players with guaranteed contracts after next season for a combined $10.5 million, giving the Lakers next July plenty of money to pursue high-level players that could become free agents, including LeBron James, Carmelo Anthony, Zach Randolph, Chris Bosh, Rudy Gay and Luol Deng. James Worthy, who won three NBA titles with the Lakers during the Showtime Era and is an analyst for Time Warner Cable SportsNet, shared mixed feelings on whether the Lakers can attract another top-level free agent. Howard could’ve signed with the Lakers for a five-year deal worth $118 million, as opposed to the four-year deal worth $87.6 million he will earn with the Houston Rockets. What did Worthy make of Howard’s departure? Read more in part two of my interview with Worthy, who talks on a wide-range of topics, including Howard, the Lakers’ 2014 offseason and expectations for Pau Gasol and Steve Nash.